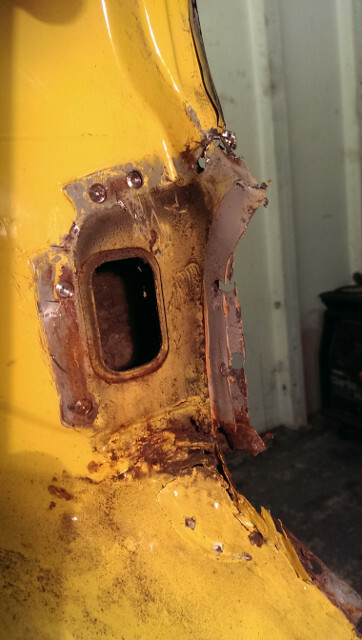 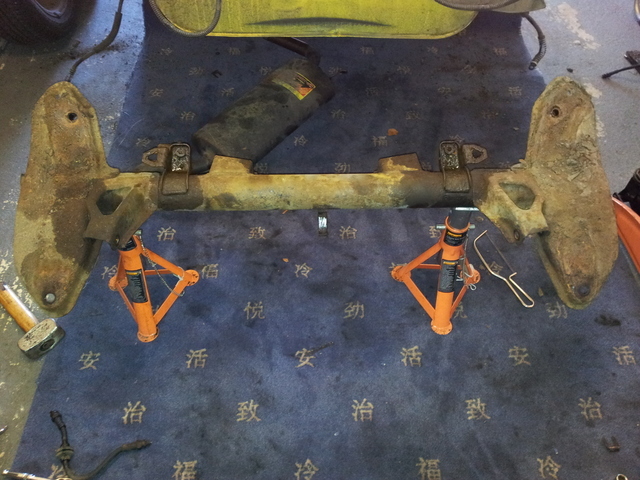 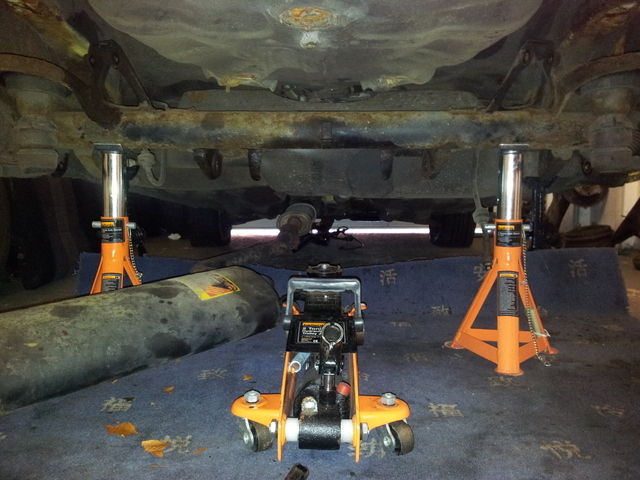 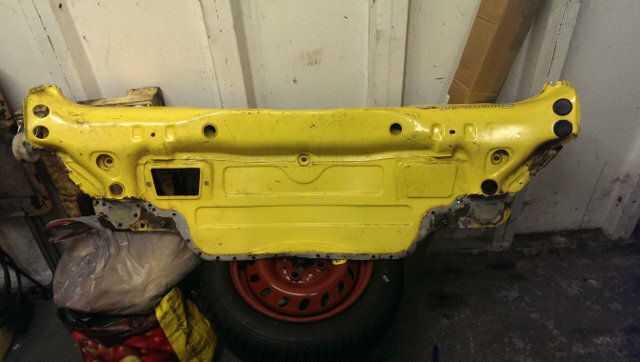 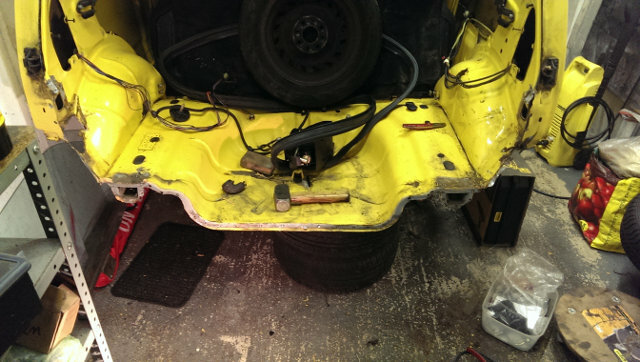 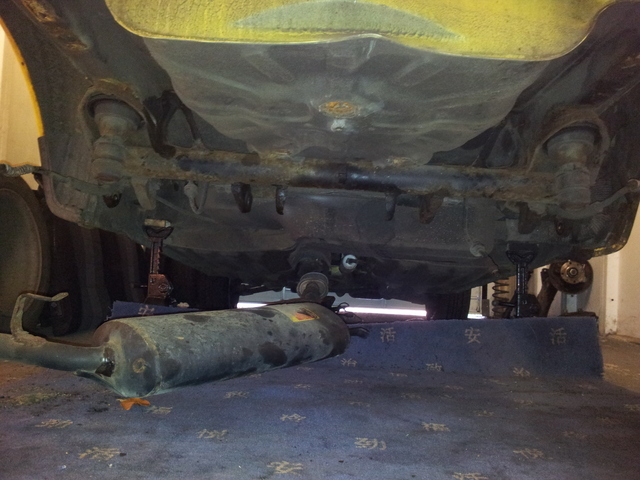 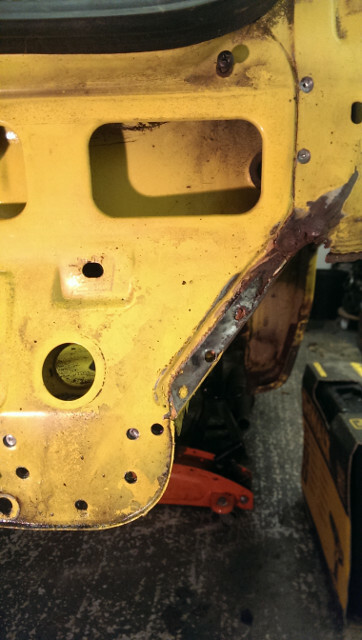 This category contains all the posts regarding the restoration of my Fiat Cinquecento Sporting. 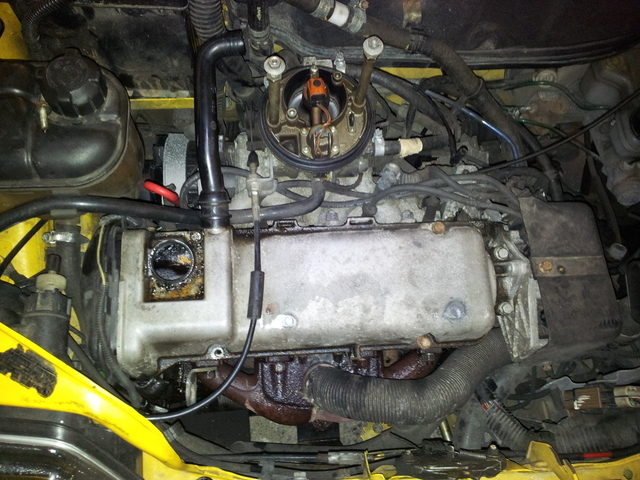 It has been a while since I have had time to spend on the car, I have not been able to get hold of a welder and didn’t really want to start working on the engine in the garage as I wanted to flush out the cooling system first. 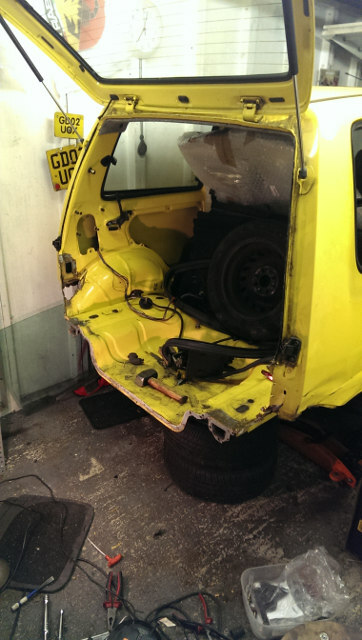 Last week an advert popped up on the Fiat Forum for a chap selling a bunch of parts from a Fiat Seicento Schumacher edition, including a complete rear beam with suspension and brakes still attached for £20 ! 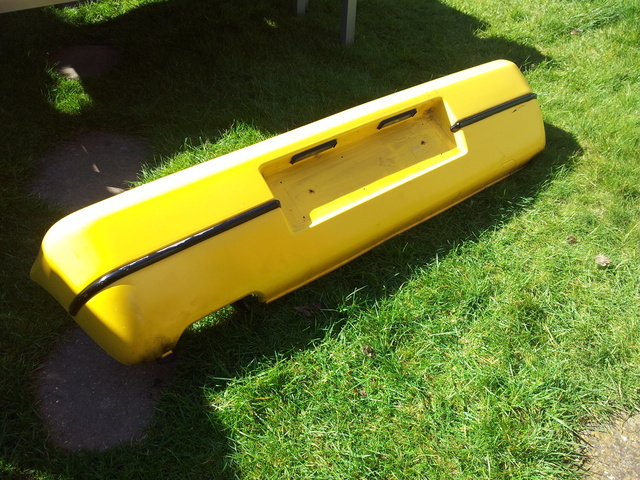 It was up near Leicester but for £20 it was worth the drive as it was straight and only had a bit of surface rust. 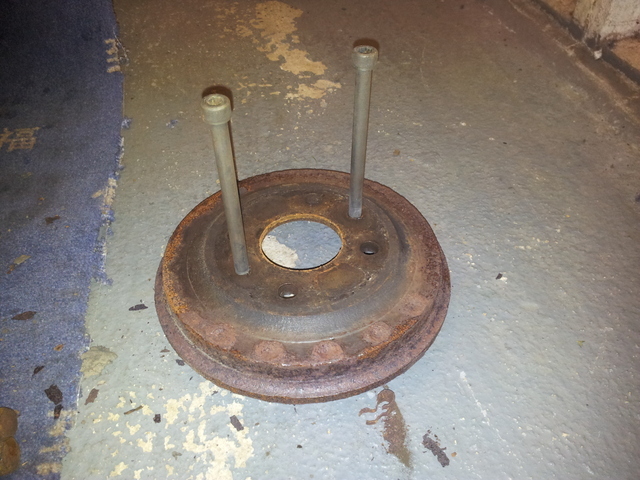 On further investigation it has ABS hubs still with the sensors attached, they seem in good working condition so I will sell them on ebay as they are of no use to me. 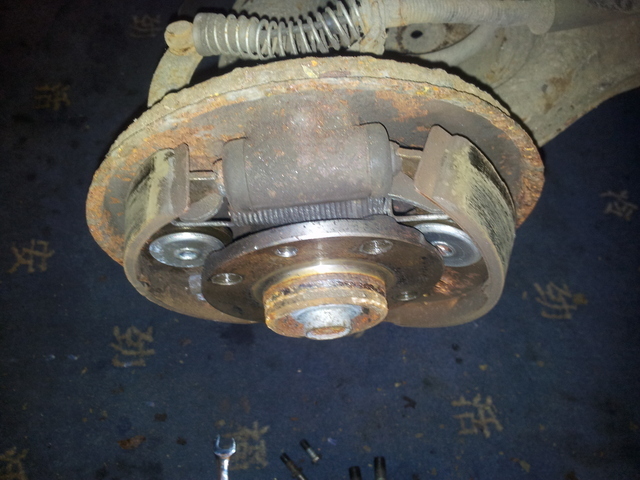 The whole lot came off a running car so the brakes, springs and shocks are in good condition, I guess I will know if the shocks are any good once I remove them from the beam. 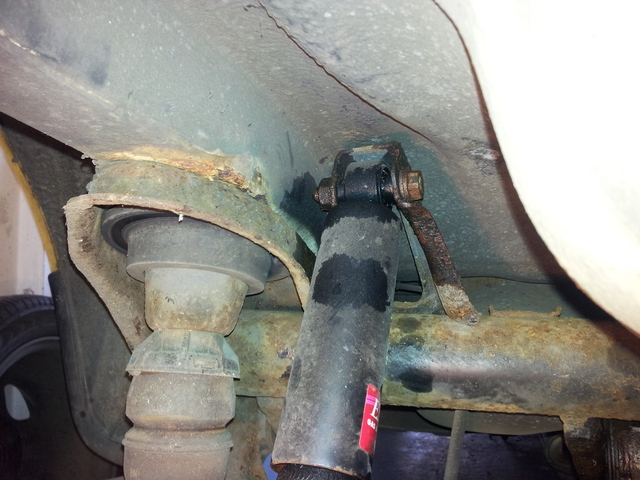 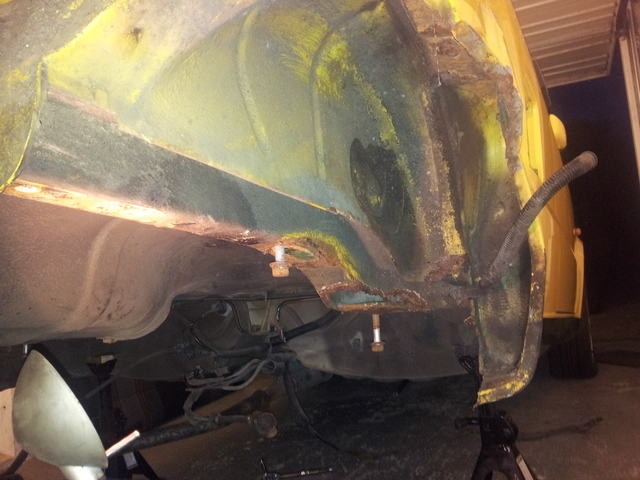 I wanted to get the car out of the garage to hose down the rear underneath of the car, it was the one thing I forgot to do before putting it in the garage, the dirt was making it hard to see where the rust ended and the car started. 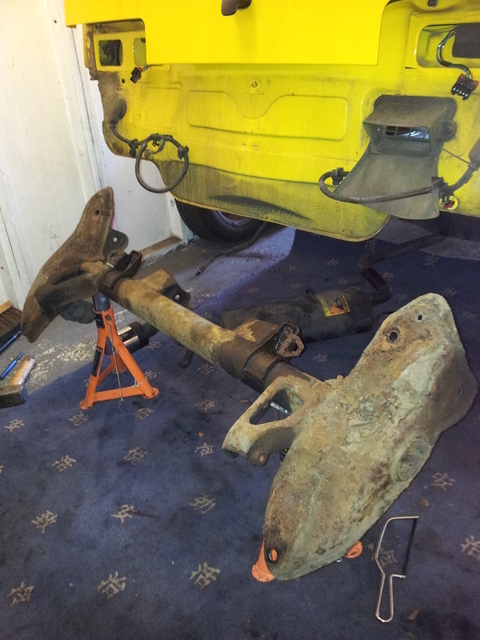 It took a bit of man handling to fit the beam complete like this, but with a helping hand from Kelly we got there in the end. 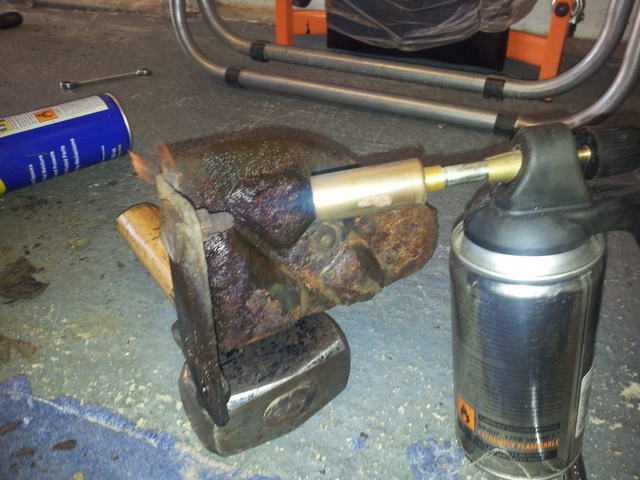 It was nice to get it out the garage, I though it was going to be stuck in there forever ! 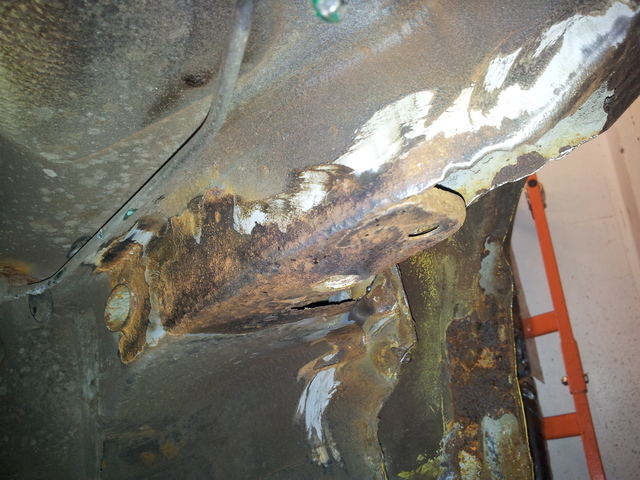 I had a go at the aches and underside with a pressure sprayer and some strong pre wash, it quickly shifted the dirt and revealed the corrosion in the inner arches was not quite as bad as it seemed, although as you can see here it is still quite bad. 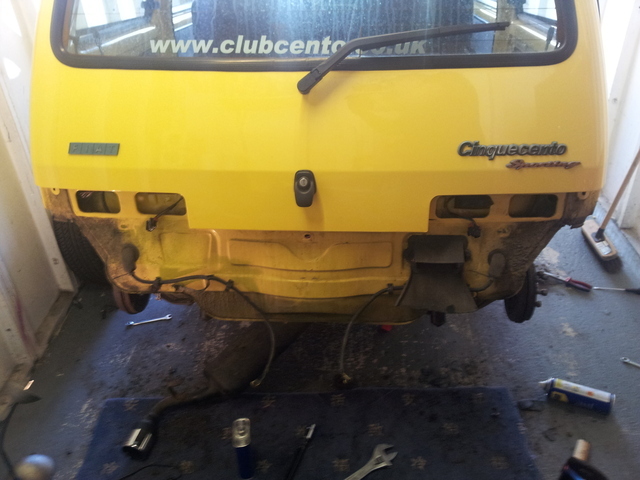 I like the look of cinquecento’s with the rear bumper off. 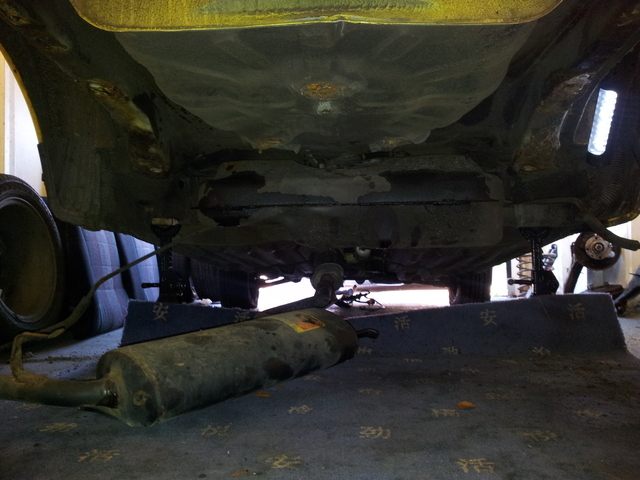 So that was my weekend, the car is now back in the garage waiting to come out to have the cooling and oil systems flushed, so I can then change the head gasket and anything else the engine will need. 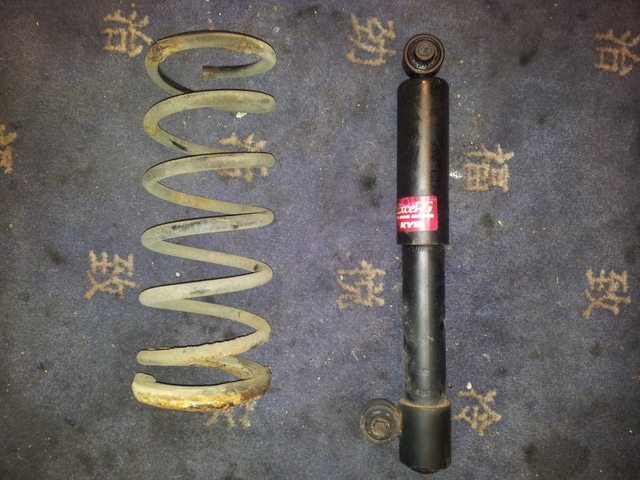 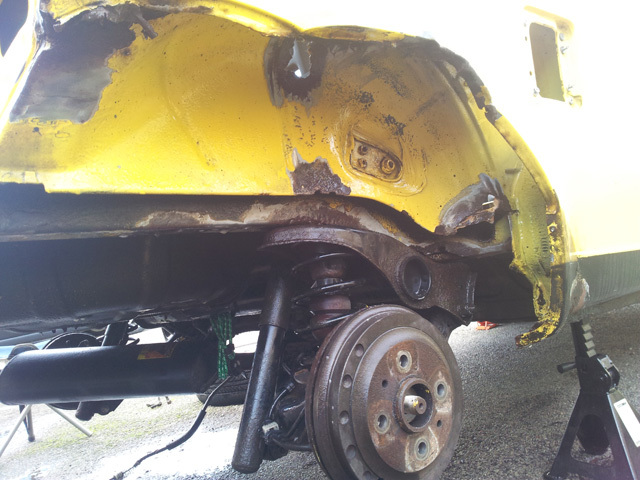 Hopefully I can get hold of the welding gear and work on the car over the winter. 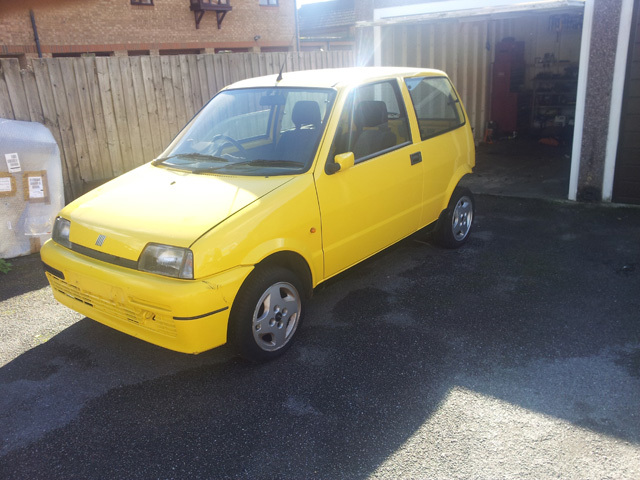 A week or two ago I ordered a load of Cinquecento parts from a Polish web site, with the conversion rate it works out a couple hundred pounds cheaper than even the cheapest of Fiat dealers ! 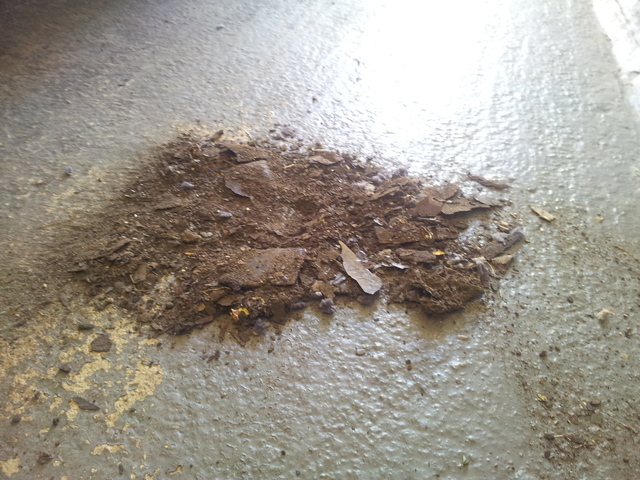 Today I got home from work and was greeted by this. 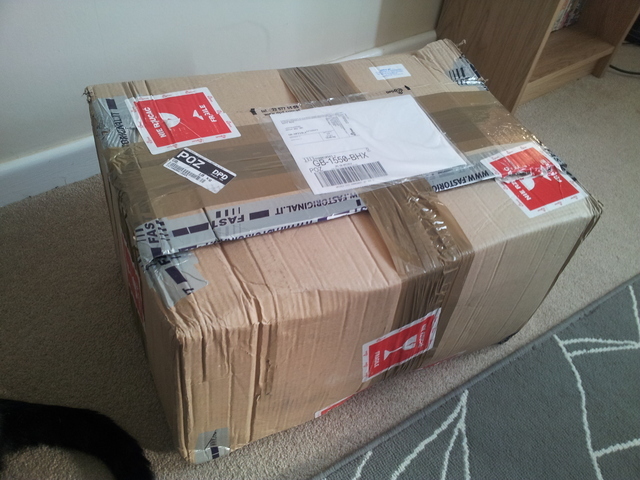 After spending a few minutes fighting with a mile or two of bubble wrap I had all these shiny new goodies laid out on the floor. 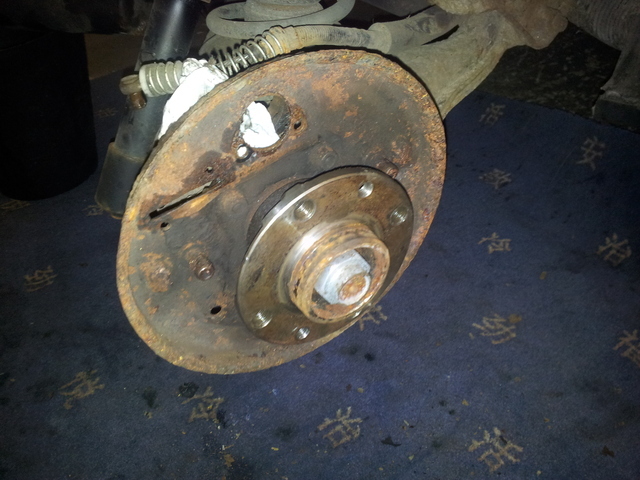 As you can see the back brakes are being replaced with all new parts, along with the header tank from an MPI Seicento as they are better looking than the SPI Cinquecento ones, I got two as the one in my green Cinquecento is tired along with a new handbrake cable. 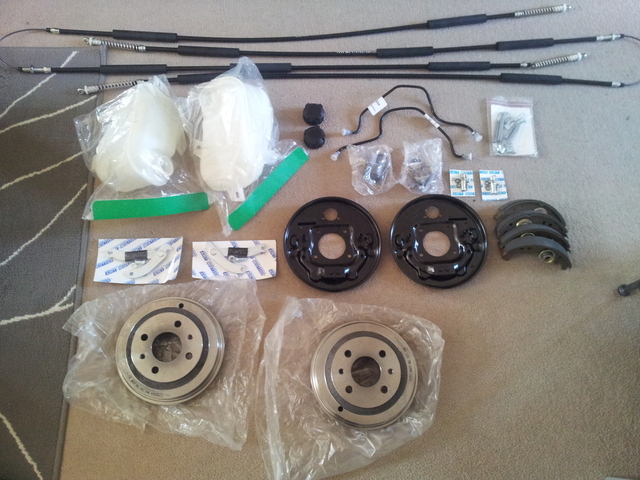 All that lot only came to just over £100 including delivery and they are all genuine Fiat parts! 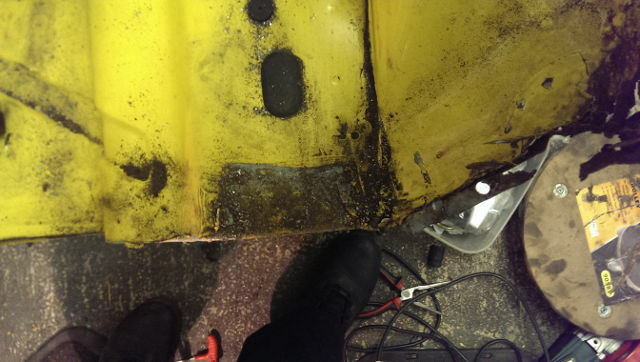 I would love to crack on with the welding, but unfortunately the family member who is going to assist is busy until the start of July. 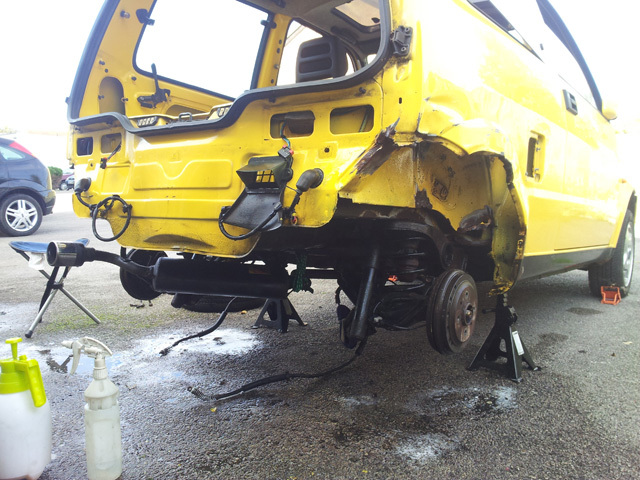 So I decided to crack on with some of the other jobs which need doing, including having a look at the condition of the engine. 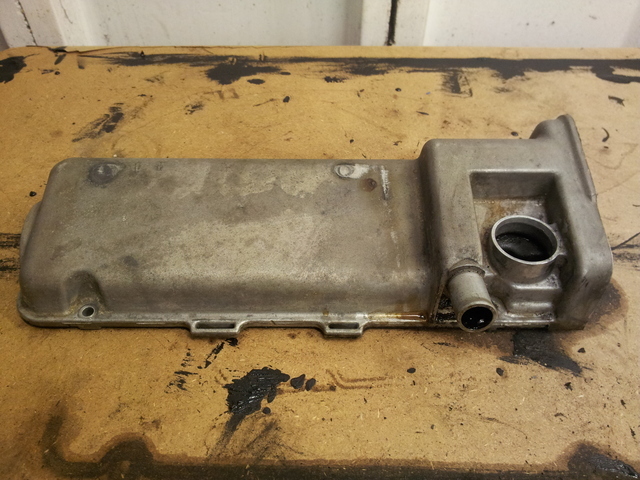 First up the air box had to come off, it’s only held on by a couple of bolts so that didn’t take long. 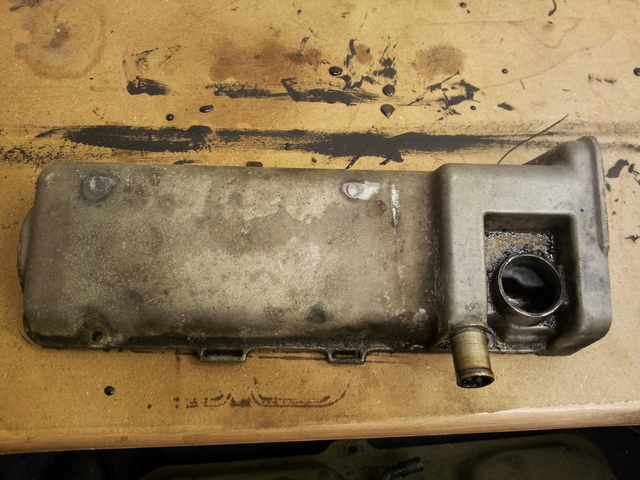 Next up was the cam cover, this is bolted down with about half a dozen bolts which all came out OK. You can see in this photo that the rocker cover gasket has been leaking, the front of the engine is a right oily mess ! 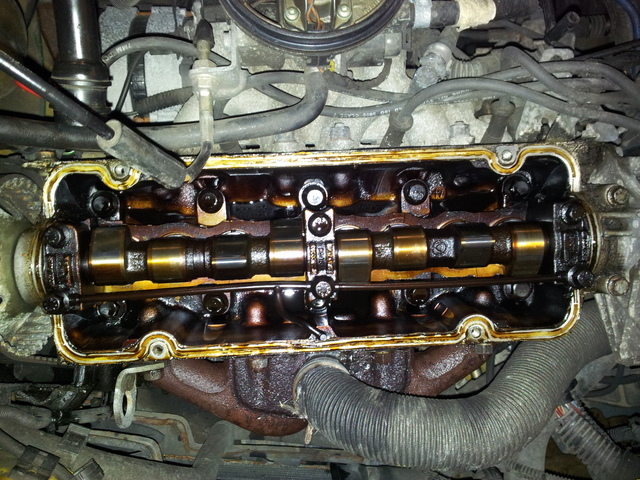 I was pleasantly surprised by the condition of the camshaft and how clean the top end was looking, you would never guess that it had done 100k miles ! 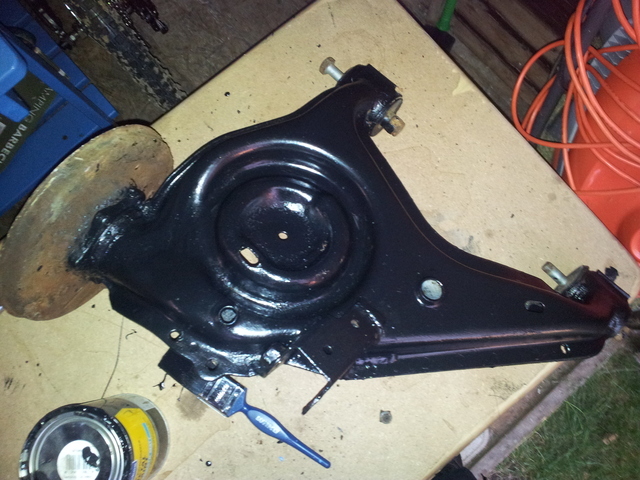 I plan on giving the cam cover a good clean and polish, it’s condition is good and should clean up nicely. 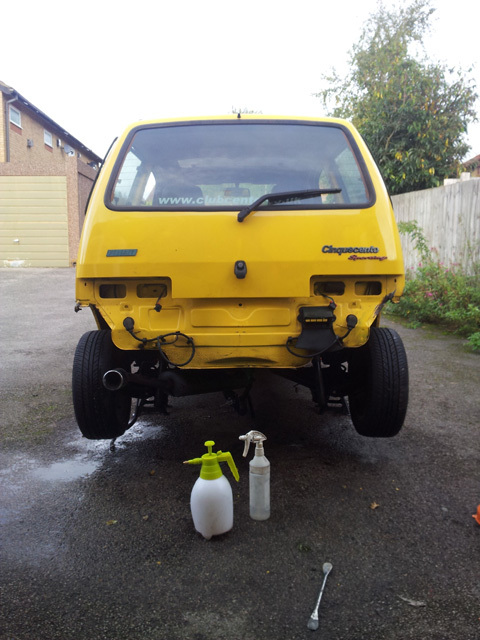 A splash of degreaser and it was looking better already. 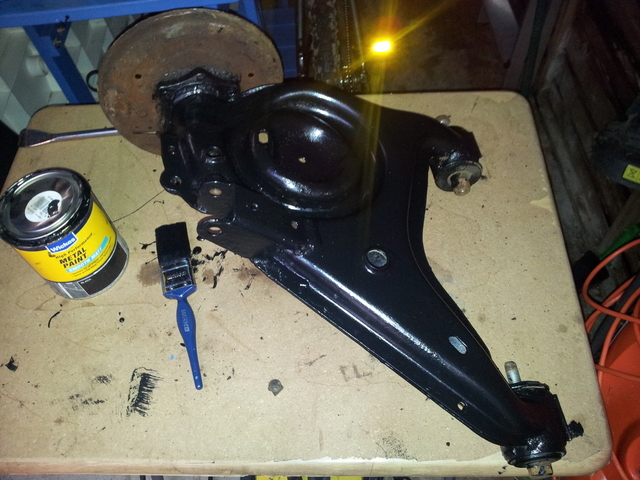 By this time it was getting late and didn’t want to annoy my neighbors by polishing the cover using mops on an electric drill. 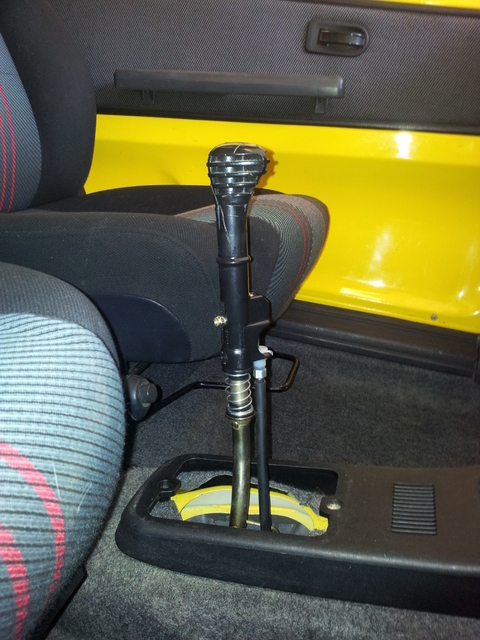 I will do this another day, but I did replace the scabby gear knob. 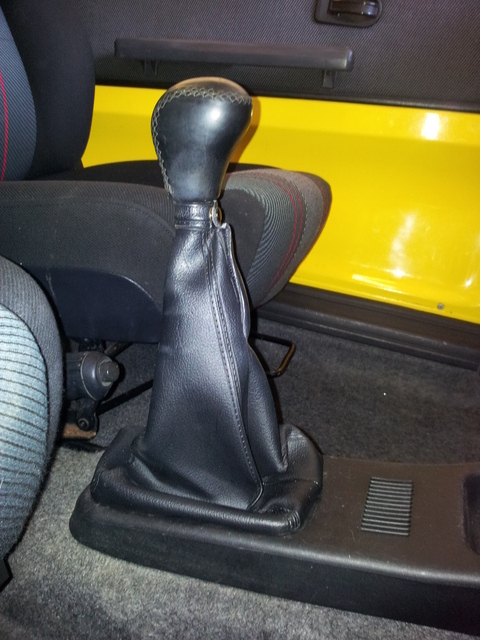 Andre had a spare gear knob which he kindly gave me, I managed to source a great condition original gaiter as well which finished it off nicely. 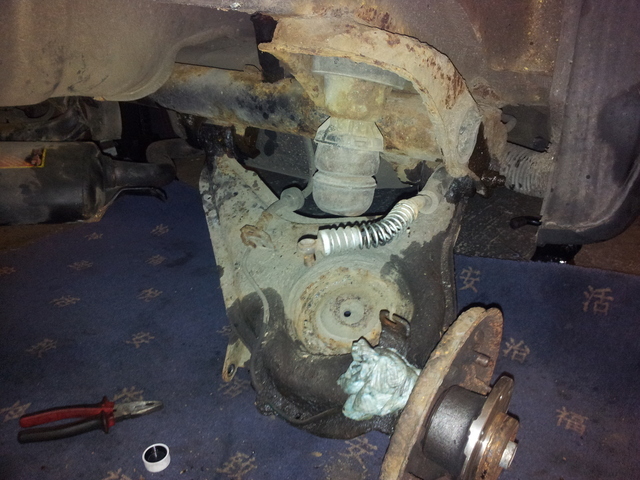 I popped out to the garage this evening to put away my recent delivery of detailing products and before I knew it I was kneeling on the floor swearing at the rear drum brakes ! 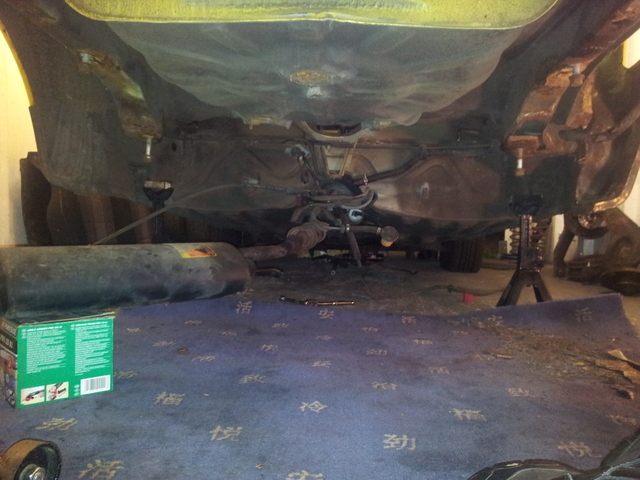 It’s amazing how easy it is to get distracted by the car and end up loosing an hour or two pulling parts off of it. 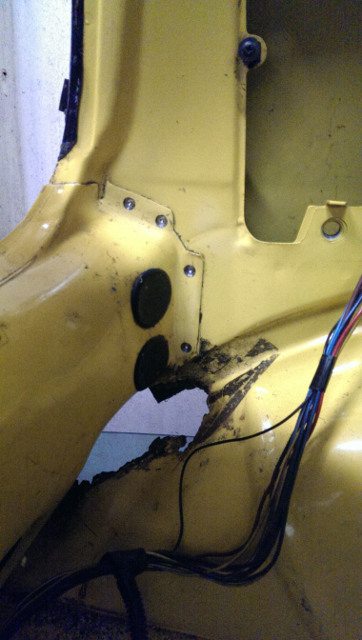 I had removed the drums on my other Cinquecento so knew what was hiding inside, along with the technique required to get the drum off. 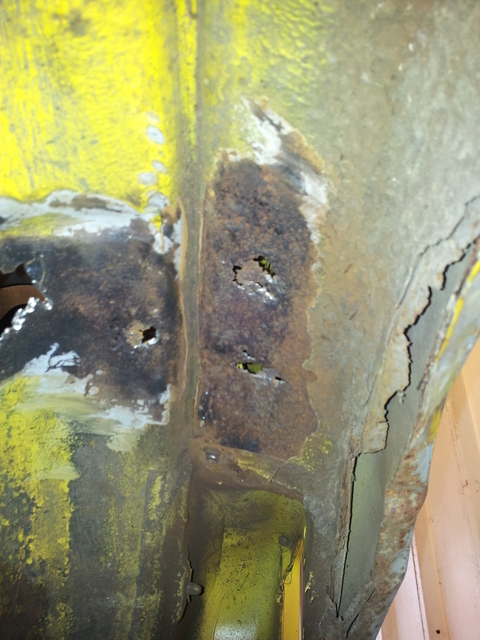 The best method I found was to screw a couple of bolts in to the two smaller holes left by the locating pin and and securing bolt. 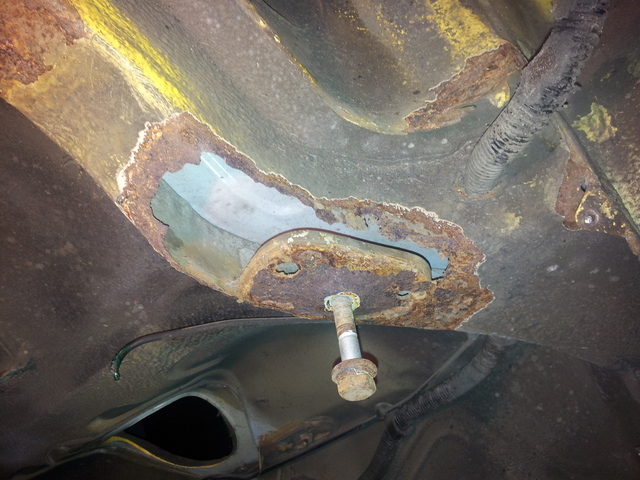 You then slowly screw each bolt in to the drum, gradually the drum is pushed away from the back plate and eventually pops off. 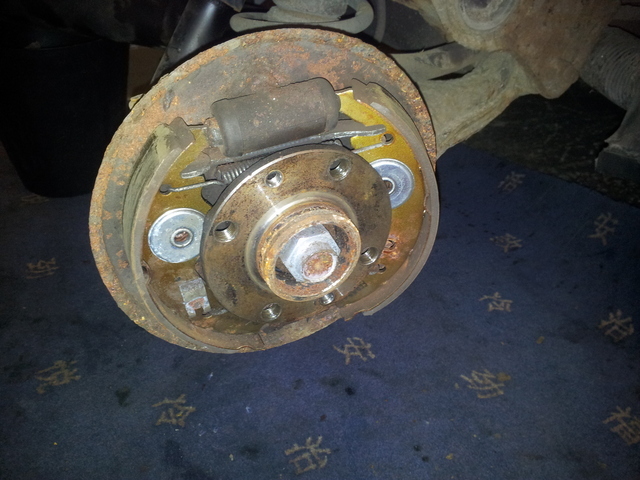 You are now left with the inner workings exposed, now this brake had been dragging and when the drum popped off it also pulled one of the stuck shoes with it, which you can see here. 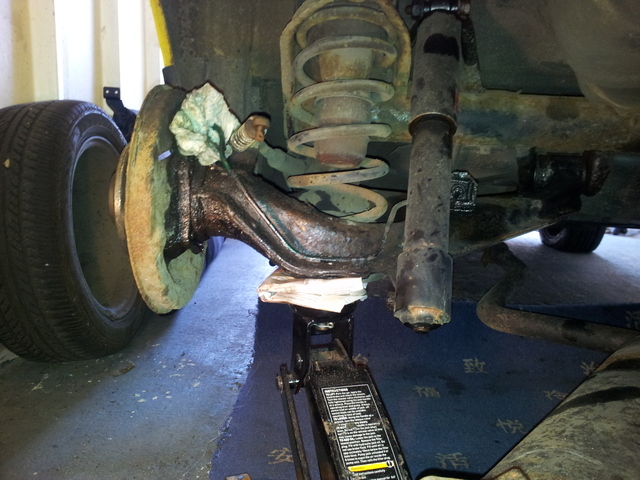 Now the hard part, which is removing the two return springs, one at the top and one on the bottom of the shoes. 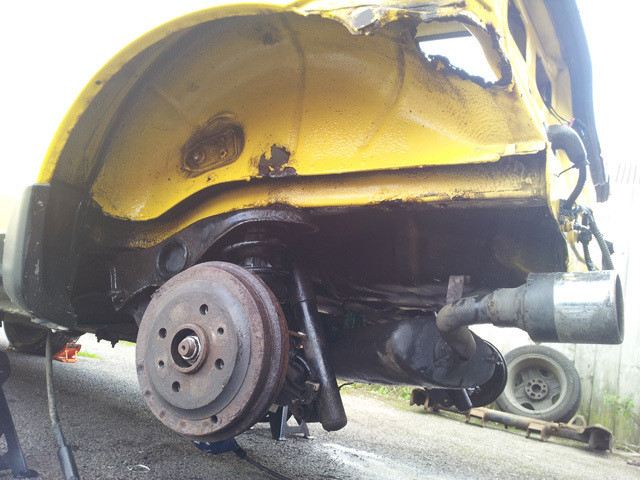 After a few choice words along with a bit of huffing and puffing the springs were off, the shoes then came out easy as pie. 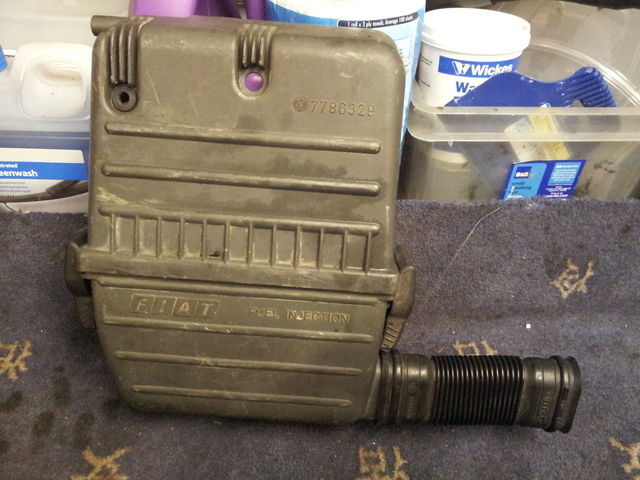 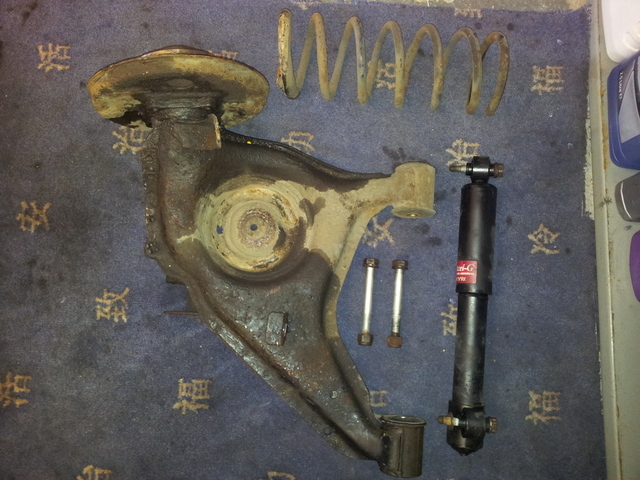 Next in line to come off was the hand brake actuator, as I expected this was seized solid and is a common problem on both the Fiat Cinquecento and Seicento. 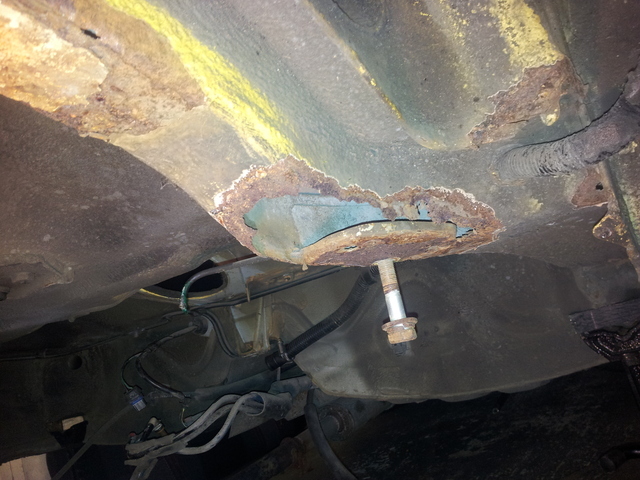 Unfortunately to remove the actuator the brake cylinder needed to come out, the bolt connecting the brake pipe to the cylinder was seized solid. 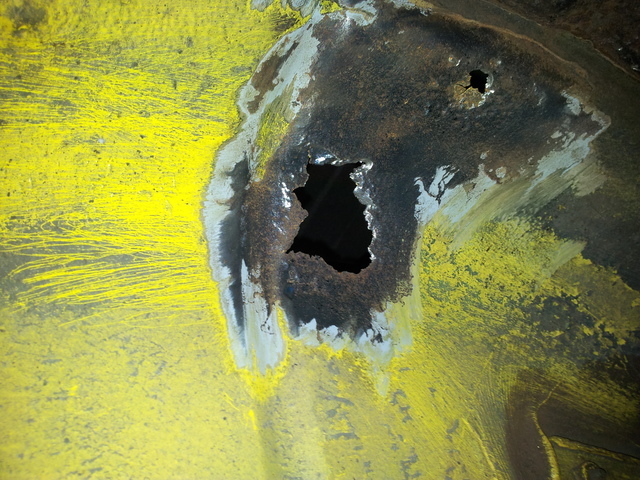 I decided to just cut the brake pipe near the very end that way I can easily make another and use this one as a template, I dare say it had gone porous anyway. 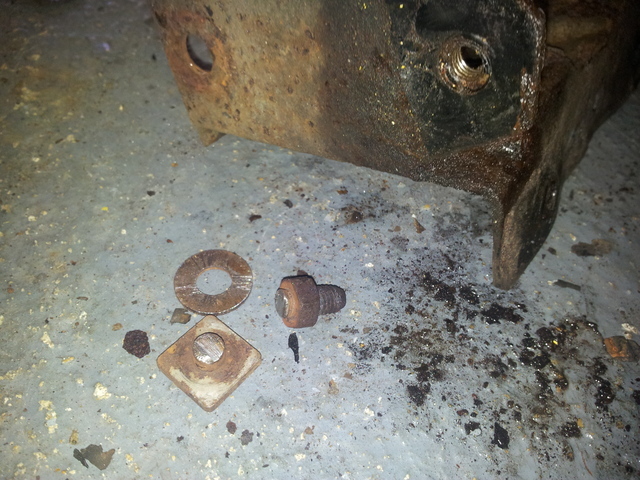 A couple of bolts later and the cylinder was off along with the actuator, this left me with just the back plate attached to the car. 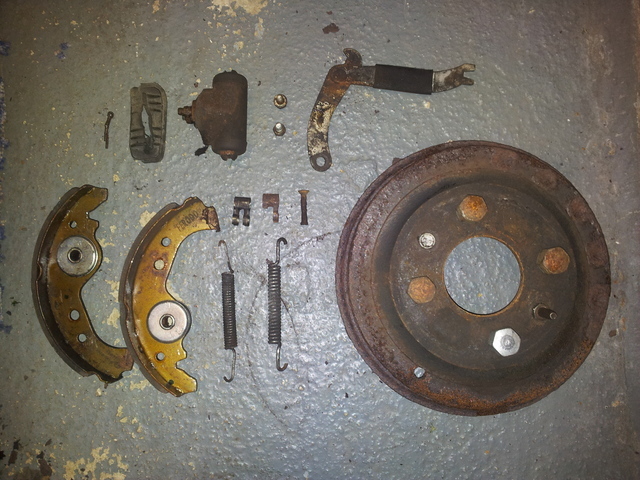 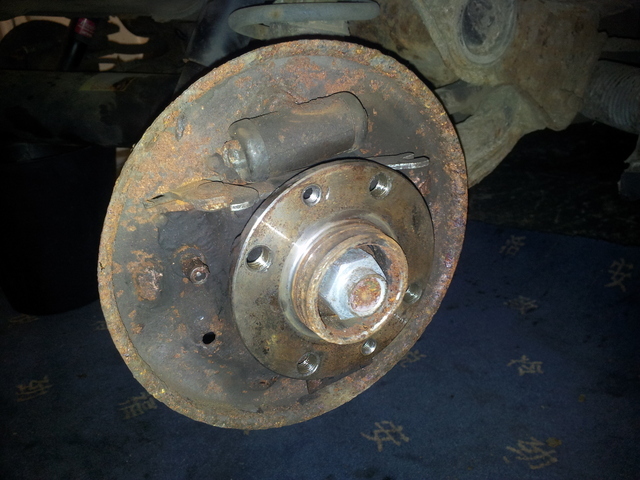 Drum brakes are very simple yet very effective, these are all the parts which made up the drum brake. 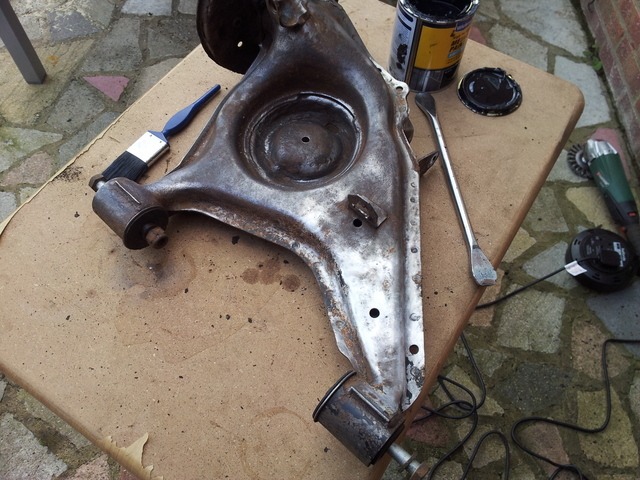 The majority of these parts will be replaced with new ones, the only part I will refurbish is the drum as it only has a bit of surface rust on the out side, there isn’t even a lip on the inside! 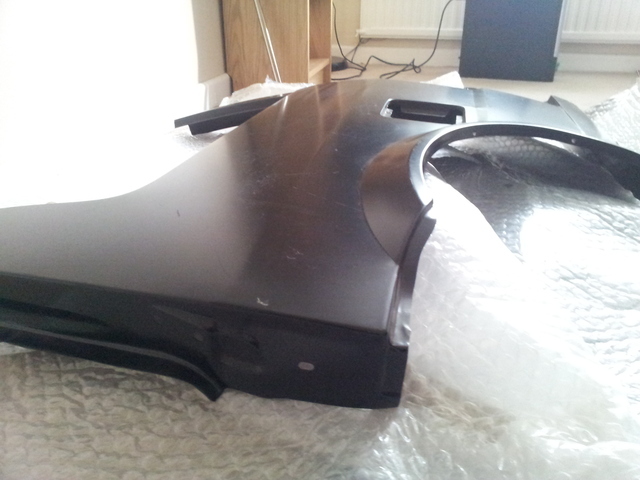 So my trip to the garage to put away some detailing products ended up with me completely stripping down one of the drums. 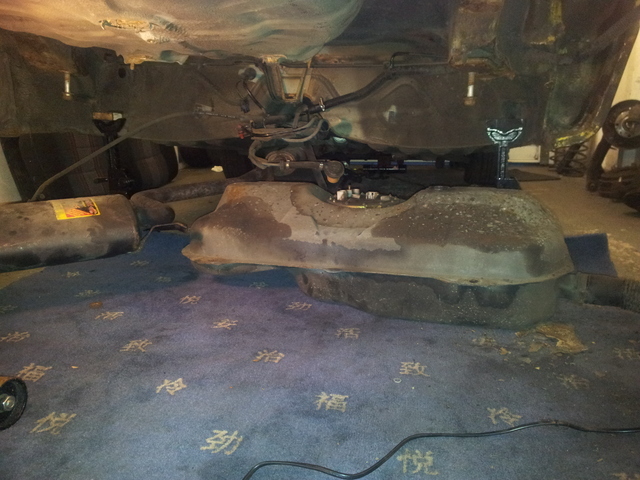 Still it beats watching Eastenders ! 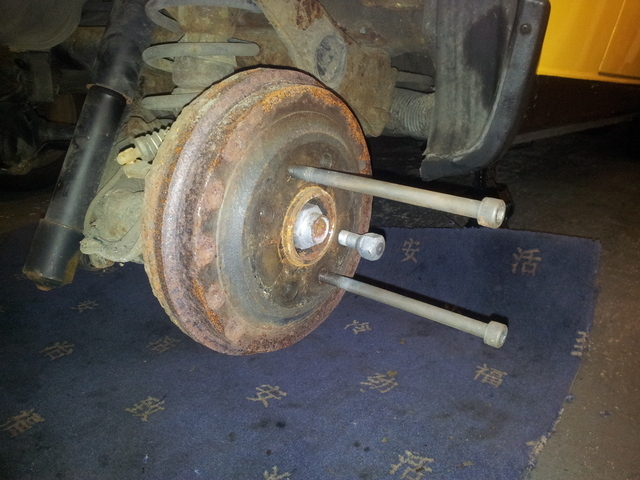 I Ended up cobbling together a 4 foot breaker bar out of various bits I had in the garage, and using some caution was able to remove three of the four bolts ! 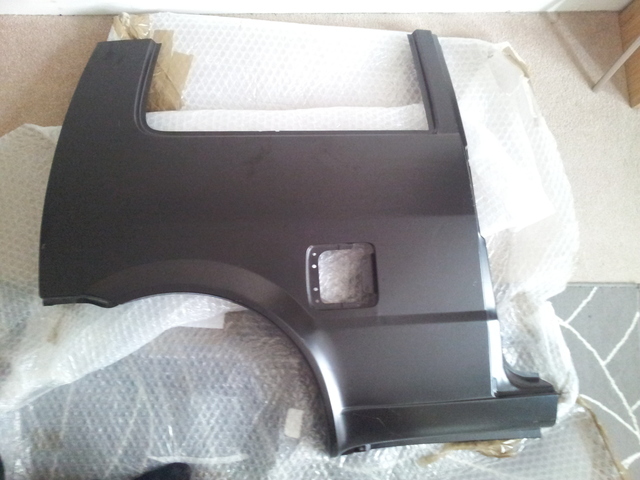 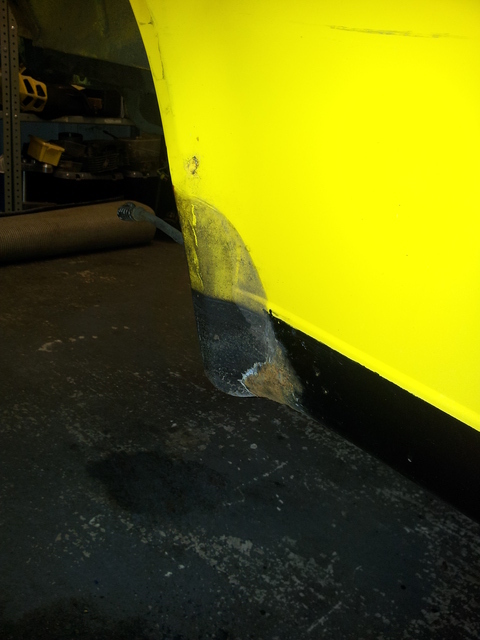 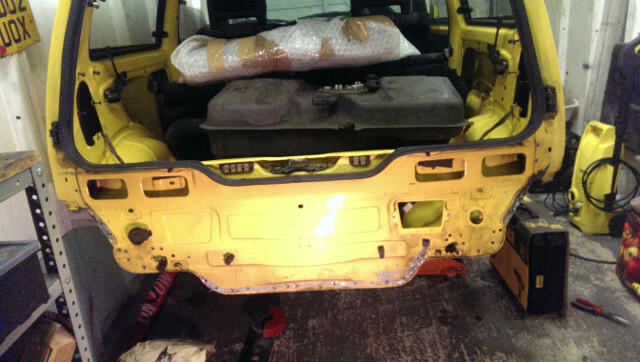 Unfortunately one decided to round off and needed to be drilled out, but I won in the end and the bumper was off. 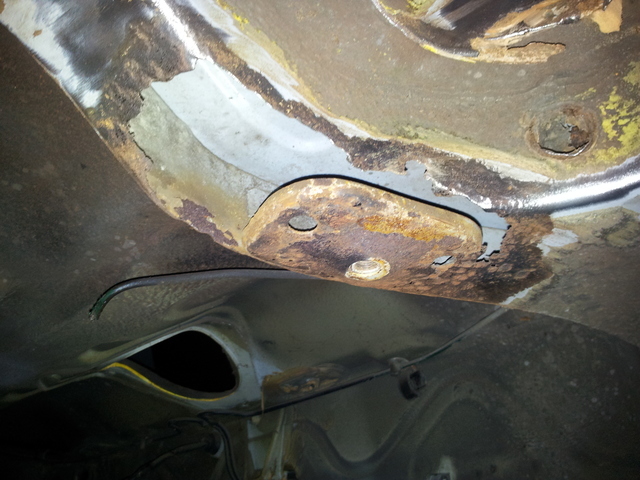 I still couldn’t undo the bolt, out came the dremel and with a few seconds it was off with no damage to the bumper mount. 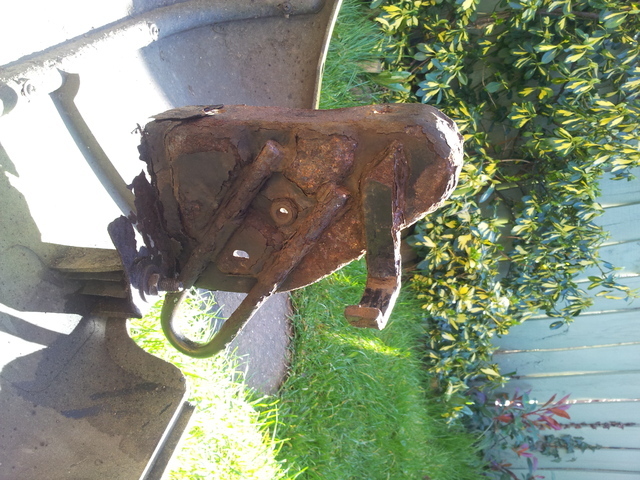 The bumper mounts are actually in reasonable condition, yes they are very rusty but compared with the swiss cheese I pulled off my other Cinquecento, I’m rather pleased and it won’t take much to sort them out. 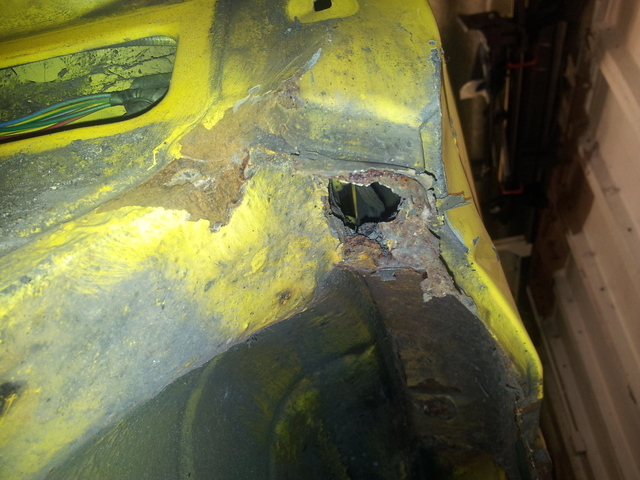 Although the other other was a little worse and a chunk came off during the removal process. 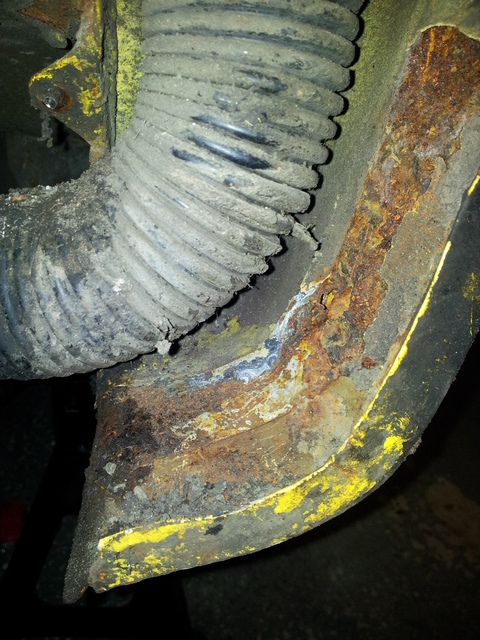 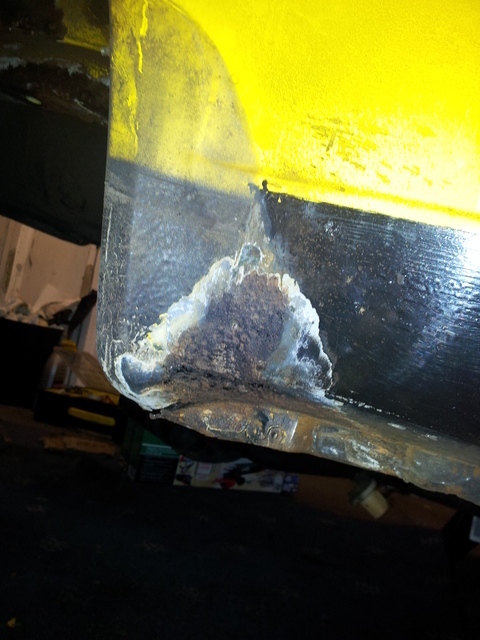 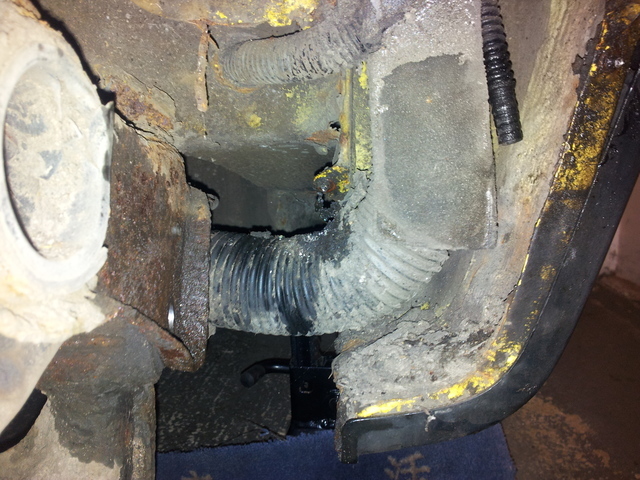 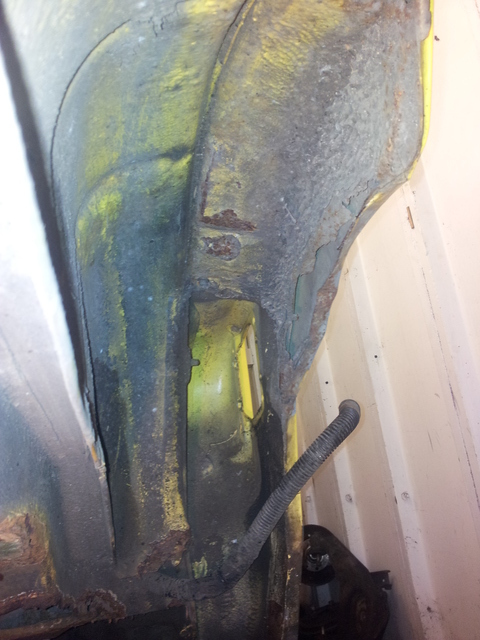 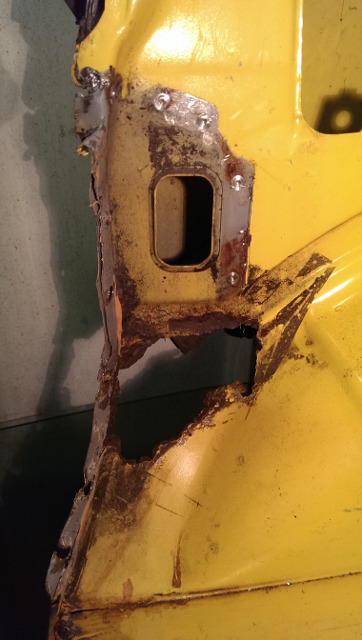 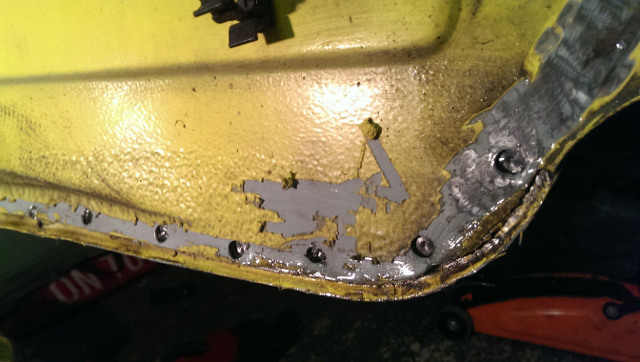 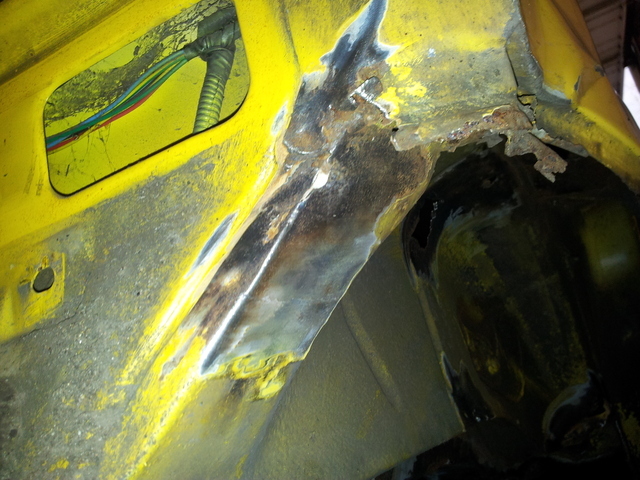 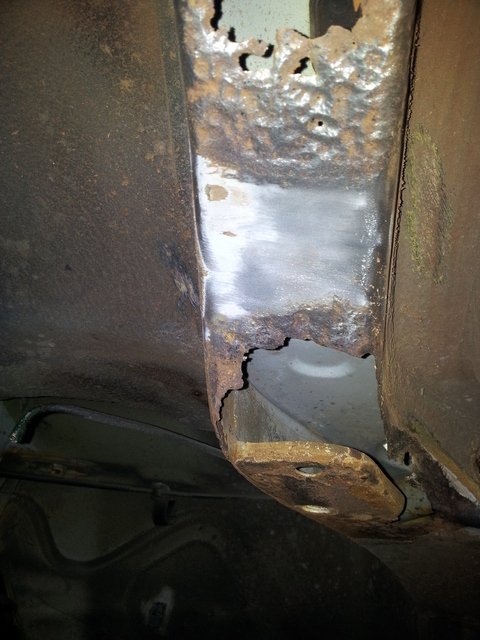 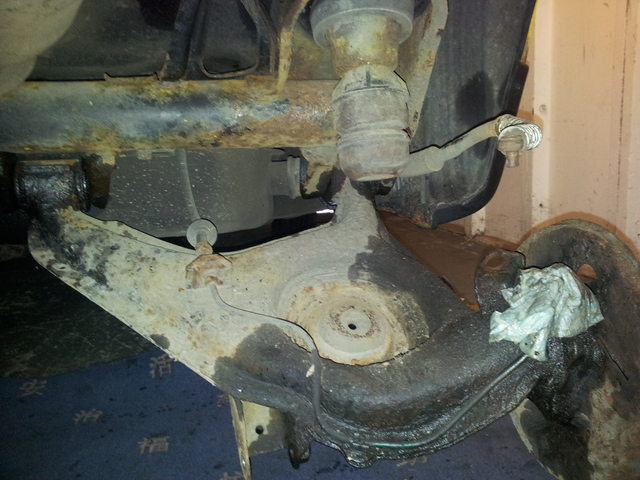 I might be able to clean it up and weld a new section on to it, thats if I can find some clean metal to weld on to ! 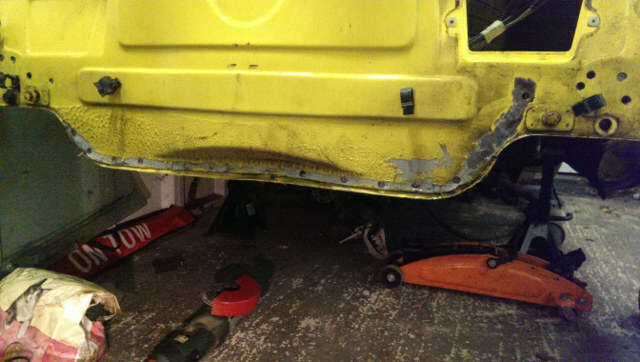 The bumper itself is in fair condition and should come up ok with a bit of Autoglym paint renovator, it has a few deep scratches but nothing a bit of filler and a can of paint can’t make good. 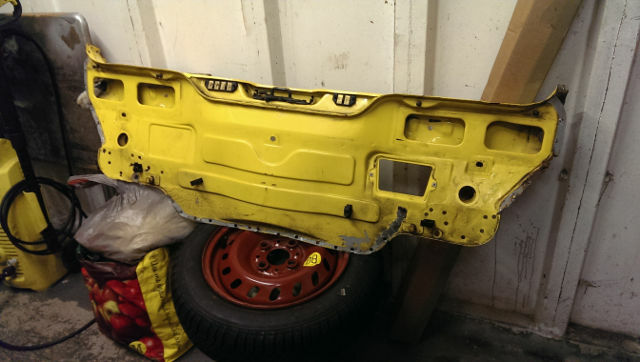 The trim needs removing and a fresh coat of black paint applied, I will try to get some better photos when I get around to working on it.